Iacocca Hall at Lehigh University was an exceptional venue for junior prom. The space was sophisticated, beautiful, and the layout of the tables and dance floor was convenient. The upper level surrounded by windows provided an extra touch of charm. The environment screamed “prom”, and everyone who attended made unforgettable memories. The Palace Center is a little under an hour away from Pennridge High School, similar to the drive to Iacocca Hall. 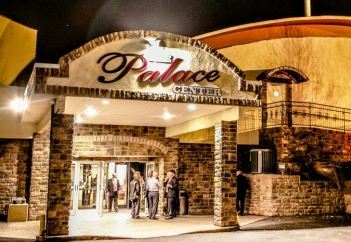 The Palace Center is a popular venue for any type of function, including proms, trade shows, conferences, musical and dance performances, fundraisers, reunions, banquets, and weddings But, unlike Iacocca Hall, the Palace Center lacks windows. Despite this, the ballroom is spacious and contains a full stage. It is also capable of seating up to 600 guests. The Palace is certainly a sophisticated venue that is qualified to host a prom, but will the room and building layout be suitable for seniors celebrating the end of high school and the start of a new chapter. It may be suitable for more formal events, such as weddings, but it does not present a youthful atmosphere like Iacocca Hall. In Mckenna’s eyes, the best thing about Iacocca hall was, “the way that the dance floor was set up really made it feel like everyone was dancing together. I hope that The Palace has the same feel.” Students in the senior class are showing concern about the size of the dance floor, as well as the food that is anticipated to be served for dinner. However, no matter the circumstances, senior prom is destined to be a magical night.